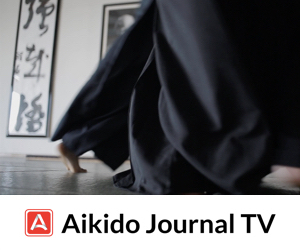 The martial art of akido has enjoyed a steady growth since its quiet introduction in Japan following World War II and subsequent spread abroad. 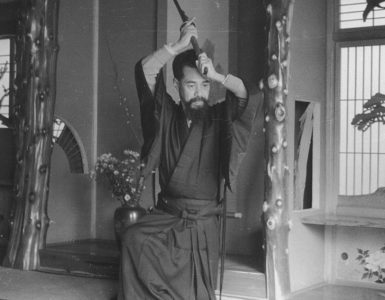 While the art has earned much respect for its ethical tenets, the techniques of aikido are often criticized as being too soft and impractical to be of any real use in an actual engagement. I have frequently added my voice to this chorus and maintain that the casual nature of practice in many schools today leaves students with unrealistic expectations of what they can expect to accomplish if their skills should ever be tested in a real-life encounter. I still believe that practice against lifeless, “ceremonial” attacks without the application of atemi and convincing finishing techniques leaves one highly vulnerable in a life-threatening situation. This having been said, how specifically to go about adding a strong element of “realism” to aikido is altogether another question. 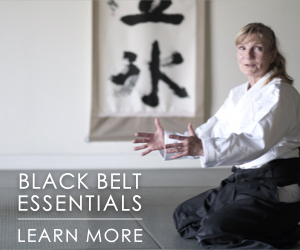 Various improvements have been proposed such as teaching attacking skills, incorporating liberal use of atemi, adding self-defense techniques, etc., all with the aim of making up for aikido’s perceived technical deficiencies. Another of the most frequently advocated solutions to this thorny issue is the introduction of competition to add a realistic dimension and provide a quantifiable way of measuring one’s skills against an opponent. The argument is often framed in such a way that the measure of a martial system is based on how exponents fare, or presumably would fare, in a match situation. For example, who would come out on top if fifth dans in judo and karate were to match skills? Is taekwondo superior to kung fu? Can an aikidoka with no cross-training in another art hold his own against an exponent of any of these more combat-oriented martial arts? Such speculation is endless and has failed to lead to any sort of consensus. The most prominent example of the concept of competition applied to aikido has been the Tomiki system, which was philosophically inspired by the thinking of Jigoro Kano, the founder of judo. Kenji Tomiki, a prewar disciple of both Kano and Morihei Ueshiba and a successful judo competitor in his own right, devised a sport system of aikido which was launched via the aikido club of Waseda University in the 1950s. Matches in this style consist of one opponent armed with a mock knife while the other acts as the defender. The roles are reversed after a specified time and points are tallied to determine the winner. In addition to matches, this system of sport aikido includes kata competition. Tomiki Sensei experimented with various modifications to his system and, since his death in 1979, his senior students have carried on under the banner of the Japan Aikido Association, There are perhaps one hundred or so schools and clubs that follow the Tomiki system worldwide. The results of this continuing experiment with competitive aikido have been mixed, and even within this system there are those who prefer to emphasize more traditional practice methods and forego matches altogether. 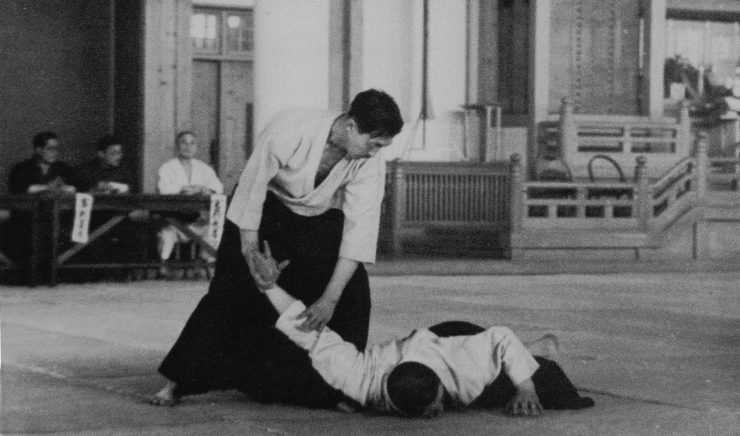 The Tomiki method has come under attack from proponents of other aikido schools who hold that the principle of competition itself runs counter to the central principles of aikido. Because of this fact, Tomiki Aikido remains to a certain extent isolated from more mainstream approaches. Two other widely-practiced styles of aikido have embraced competition, albeit to a limited degree, in conjunction with demonstrations. Both the Yoshinkan Aikido and Shinshin Toitsu Aikido organizations conduct demonstrations where participants are graded on their performance, based on the execution of technique, balance, ability to blend, and other such criteria. Winners receive awards at the end of the event much as in other sports. The sort of “friendly competition” this approach has spawned seems to encourage performers to intensify their practice at least in preparation for these events, My impression is that aikido purists who frown at the Tomiki approach are not particularly concerned by these forays into competition by the Yoshinkan and Ki Society since neither conducts matches or bouts that pit two opponents against each other. I doubt very much, however, that this sort of performance competition by itself will be enough to satisfy those who call for training reforms designed to give aikido techniques “teeth” so as to render them effective in a realistic selfdefense situation. Still another attempt to restore an “aiki budo-like” dimension to aikido through the introduction of competition has been recently launched by Fumio Sakurai. In the view of Sakurai, a former Yoshinkan Aikido shihan, aikido should rediscover its roots and be practiced with vigor as it was in the prewar days. 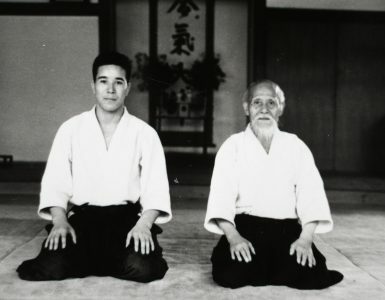 He recalls the rigorous training undergone by his teacher, the late Gozo Shioda, in the “Hell Dojo” of aikido founder Morihei Ueshiba in the 1930s. In an effort to achieve this goal, Sakurai has begun experimentation with a new form of competition in which two opponents square off in an empty-handed match. Each competitor dons protective padding covering the knees, shins, and feet, and kicking is allowed. Punches are, however, prohibited as are attacks to the face, kicks to the outside of the knee, attacks to the groin, and various other dangerous moves. I recently attended the inaugural tournament of Sakurai-ryu Aikido, as this new approach to aikido has come to be called, held on September 15. Sixteen competitors participated in this intraclub tournament and, with one or two exceptions, there were no aikidoka with tournament experience. Most of the attacks were very tentative since atemi were not permitted, and those who fared the best succeeded in closing the distance with their opponents to score points. I saw only one or two clean “aikido-like” techniques, one a kotegaeshi and the other an armbar. The winner in the heavyweight division was the largest, most muscular and well-trained athlete of the lot. However, he sustained an injury during the tournament that afterward kept him sidelined for several weeks. As a result of our promotion of Sakurai Sensei’s activities in the Japanese-language Aiki News, I have been recently invited to attend two fighting tournaments that featured exponents of the popular Gracie Jujutsu system. In the first tournament, Rickson Gracie won his three matches effortlessly by forcing his larger opponents to the ground and applying a decisive choke. Everything was over in a matter of seconds. This is the trademark of this unique system, which has gained a widespread and much-deserved reputation for its effectiveness under match conditions. What impressed me most was the ease with which Rickson downed his adversaries and how his victories resulted in no injury to either his opponent or himself. That should grab your attention! Two of the winners of other bouts managed to break their hands in the process and their victories were rather bloody and artless by comparison. Gracie Jujutsu will surely be of interest to many aikidoka because of its humane approach and effectiveness in certain combat scenarios. The top exponents of this system are experts in grappling and knowledge of this skill would be very complementary to any martial art. Parenthetically, we will have an interview with one of the Gracie brothers in the near future and will do our best to present in detail this innovative martial system. The opportunity to attend these matches was a real revelation for me coming as I do from the aikido world. With the exception of Rickson Gracie’s bouts, I found most of the matches to be animalistic and, quite frankly, repulsive. It occurred to me that competitors are required to develop a particular mindset in order to do well in such tournaments, Such fighters must learn to be aggressive and ruthless, and attempt to exploit the rules fully to achieve victory. I doubt that such character traits can be easily switched on and off. I also wonder if these attitudes, deeply ingrained as they are through rigorous training, might not come to dominate an athlete’s personality and prove a liability in personal interactions. I felt that the controlled, harmonious nature of aikido practice—even though it might not prepare one for tournament fighting—is much preferable to these other dog-eat-dog fighting styles from the standpoint of learning to live peacefully in society. I also noted that these athletes, many of whom are or aspire to become professionals, live in constant fear of injury. It was obvious in several matches that certain defensive maneuvers were designed to protect a vital part of the body from attack. Although fatal injuries might be infrequent in these tournaments, the accumulation of physical punishment over a period of time can leave a person with serious medical problems, disabilities, not to mention losing one’s means of livelihood. Shades of boxing and football! Seeing these tournaments set my mind thinking along lines I had not explored previously. I asked myself, for example, did the victors in these matches demonstrate an ability to overcome an opponent in a “realistic” situation by besting their rivals in the ring? Surely, there were skilled martial artists in the competition. However, even though the first bouts I saw were billed as “no-holds-barred,” still the opponents fought within the confines of a ring. There was a single opponent, no element of surprise was involved, and naturally no concealed weapons or firearms figured in the fights. So though it was an “anything-goes” situation as far as fighting matches are concerned, the conditions were far removed from reality. Even the marvelous skills displayed by Rickson Gracie provide no clue as to how he would handle a “real” situation against multiple attackers who are more than likely to be armed. Obviously his chances could be considered superior to those of an untrained person, but a confrontation involving firearms—the scenario most feared by the average citizen—is an altogether different matter both tactically and psychologically speaking. To sum up my thoughts on this issue, I seriously doubt that the would-be “samurai” of the twentieth century will find a satisfactory solution to their quest for ultimate combative effectiveness through martial arts competition. I believe rather that the skills required to become a peerless warrior in a modern society are far different from those of the earlier and simpler times in which these arts were developed. Today’s warriors are people like the police and elite military instructors. These dedicated individuals have vast knowledge of the many manifestations of violent behavior and what to do about it. They bring to their jobs a detailed understanding of weapons, tactics, and psychology. They are men who have looked death in the face on numerous occasions and who cannot afford to relax their alertness for even a moment in the fulfillment of their duties. Aikido’s main contribution to the enrichment of individual lives lies not in the mechanics of techniques but rather in its ability to transform and elevate spirits beyond the plane of dualistic thinking. I genuinely believe that those seeking “the ultimate fighting system” are destined to forever pursue an illusion. Thanks again Stanley, I much appreciate your persistence and dedication with this journal. 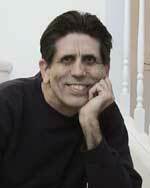 I would like to offer a couple of alternative viewpoints on some of the arguments you have proposed, if that is OK. 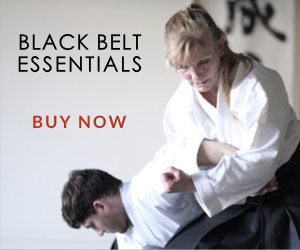 Mainly regarding your worry of competitive Aikido developing developing aggressive people. I have far less experience than you so I will use a little of my experience and more of some principles to make my argument. Argument 1. Competitive aikido can harness and control aggression rather than encourage it. In our club, which is a Tomiki style club, though now we mostly refer to Shodokan Aikido (Tomiki was apparently clear he did not want his name used as it has been), we have found that students who do not develop a softness, and an appreciation of their uke cause injuries. The training for randori style sport-fighting is physically very demanding (because of the enormous amount of leg work required for tai sabaki and continual breakfalling) and practice often continues while at the same time students are very tired and pooped. This demanding nature creates a realistic fighting element in that if a person is fighting (for real) they cannot simply take a break because they are tired. So it also creates a type of determined spirit as well. Also, as with many other forms of learning both budo-like and normal life learning require repetition, and the body learning comes more forward when the mind is less active because of exhaustion, or at least only what has been well laid down is still available to the competitor. In our training we are encouraged to feel our aggression (not like Bruce Lee) but to feel it and to not be taken over by it. Aggression simply creates fights, which are messy. Rather the adrenalin that comes with aggression can significantly assist the bodies energy reserves. Staying alert to aggressive feelings is much easier when another person is trying push you over and you are resisting. When not resisting, such as for many forms of Aikido practice, the aggression does not arise. They feelings come quite naturally with resistance, I have found and the occasional hard breakfall or surprising breakfall. Also the occasional mistake (shoulder to face, for instance) has reminded me of the idea that once an atemi lands the whole story changes as my mind is shocked, I get confused and fear also can arise. In formal randori training, learned from Hombu dojo, the training is built up slowly, and if parts are missed then the randori looks more like wrestling, or judo. Wrestling can be fun, but it is exhausting (I have certainly done it) and the amount of aikido able to be done is limited. (To this end, I believe the powers that be are still tweaking the rules to make it more aikido and less wrestling.) The randori training proper starts firstly with mai and then tai sabaki. We still practice this every night and when we began we simply did this. The process of getting out of the way, tai sabaki, became much clearer to me though this practice. Also, the place of speed. And I am still learning to be soft rather than hard – or to float rather than be a brick wall. Learning to float, for instance, harnesses well my aggressive instinct, and frustrates my opponent, even in practice. When we are both light, it is quite remarkable how we can maintain composure and also do aikido by finding the weak spots or weak moments in a colleagues movements. We are training so that we do not use muscle strength. 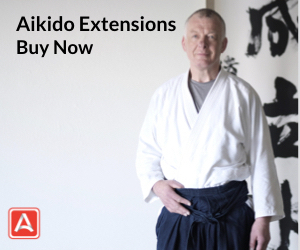 We usually start using muscle strength, but the training is designed for have us use aikido rather than muscle strength. This process, the training, can harness aggression, and develop softness in the face of strong physical challenge. Argument 2. Shodokan is not realistic fighting experience, it is sport. However, it does contain many elements of a real fight (much like Gracie fights you witnessed). The element I most like learning, is learning to lose. There is a humility that I gain from being bowled over by my colleagues and finding that my ‘great kata’ do not immediately translate to the real world when resistance is provided. My teacher is able, and will be for many years, to see my faults and coach me around them. The other element is the element of resistance which means I really have to feel my way, especially when working with different people, and different body shapes. This sensitivity to the other, uke, is very important and is taking a long while to learn. I can tend to act as a bulldozer rather than a soft flowing colleague. I believe my training is taking me from bulldozer to softness, and randori is contributing to this. Another element is the element of exhaustion (mentioned earlier) which can happen in a fight very easily, especially if a fight/flight reaction sets in. If fight/flight sets in then I will get tired quite quickly after the initial rush. The training can reduce the startle/fear/fight flight response and leave me better prepared for a real fight (irrespective of whether or not my training gives me any other advantages). The last element is the element of my confidence. Having done some, but not a lot of randori (I’ve done a lot of training though) I am not at all confident when I go into a competition, but I have been trained to start with the basics – mai, tai sabaki, tsukuri, zanshin, breathing, kiai, eye contact. I am writing this as I prepare for an international competition in Osaka in July and I am full of excitement and worry, I am 56 years old and have only been training for 3/4 years and randori only in the last year or so. Thanks you again for this. I started Aikido training in 1970. My Instructor was S. Yoshioka 8th Dan he was a great influence in my life. At age 24 I was a late starter and many of my sempai were younger than I was. I trained and my body suffered injuries because of my lack of knowledge of Uke. Being thrown and recovering from a throw was my test of endurance. Now at the age of 66 years, all that pounding on the tatami mat has taken its toll on my body. My knee is shot and most of the old timers have had knee surgery and are unable to sit seiza. Such are the effects of years of training. I had Karate background before I started Aikido. It took me years to shake the competitive mind set I had. I had always thought planting my feet on the ground to assure my stability foundation was a key. But my instructor always reminded me of my faults. He told me to stand Hamni like you are float on a cloud. I still remember those words of wisdom. As for the use of atemi it was not used in our training. It would only show aggression. Aikido was not a Sport like Judo Karate a competitive sport which physical aggression is needed to compete again on another. My instructor said if you want to be physical strong “Go to the YMCA and lift weights”. Back in 1970, Aikido was not considered a Sport. But a way of harmonizing with nature. Ridding the mind of aggression and violence. Overcome one’s self. I trained Misogi, we would go to Manoa Falls and stand under the waterfall and others would swing their bo ken 1000 time each. In the dojo Misogi was conducted by Yoshioka Sensei with a few dedicated students. It was a intense part of my training only a few were allowed to train. We were an elite group of individuals he selected and it was a intricate part of my Aikido development. The spiritual cleansing of the mind and Body was what this training was all about. It was lost when Yoshioka Sensei passed away. But I still feel his heavy hand on my shoulder as his hand struck my back as I rang my bell during the training. Tohei Kame Aime Tamei the chant that cleaned our mind and Body. As for the reality of strike with my fist in the event of actual confrontation to protect myself in a altercation. For the past 42 years. I have never used Aikido in an altercation. If you look for trouble, trouble will find you. 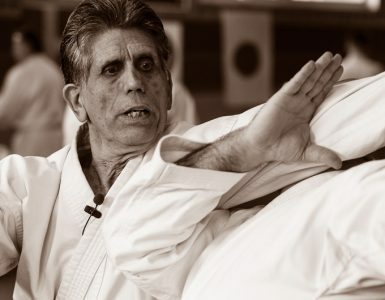 Like O Sensei he never used Aikido to hurt someone or looked to test his power to prove to the world Aikido is better than any other Martial Arts. Aikido is a non competitive martial Art. We try to Harmonize with society. It’s the mindset of others who train to compete against each other that’s has a chip on their shoulder or something to prove to themselves. I myself just want to live a peaceful existence their is enough violence in the world today. In my twenty plus years of Aikido training this topic has been debated and discussed endlessly. I sincerely thank you Stan for your continued efforts to reflect,improve and preserve the integrity of the founders art. I have some basic observations that might add to the discussion. Having trained in Sport Martial Arts the big downsides are the limited focus only on the one person in front of you. You can not compare winning a trophy or whatever in a sport context to surviving an actual life threatening attack. In all fairness, the objectives of the sport Martial Artist are much more clear and well defined. I have to believe that the founder had very clear reasons for not encouraging his students to take the sports path when it would have been so easy to follow a Judo format. I think they call this intelligent design. That being said one has to wonder why so many continue to argue the would Aikido really work decade after decade. I almost never hear “Would Krav Maga really work ?” Or would this or that art really work? The only conclusion I can say definitively is that the Aikido practitioners who could survive a violent attack train very differently than most I see today. The attacks are not lifeless, the ukemi is not flat and choreographed. They pursue their training with the same intensity as any MMA fighter. Maybe there is nothing that needs to be changed to the founder’s art. Maybe it how we are training that needs to be changed? Then I would not have to keep hearing how Aikido would never really work.